Project Management – Easier Than It Seems -> Focus on Results! 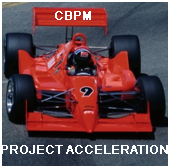 Many project managers make life difficult for themselves by focusing on the PM process rather than the PM results. They worry about documents, forms, Gantt charts, sign offs, etc. While all of these are important, many (probably all) customers of a project care a lot more about results than about the process. As long as the team performs in a legal and ethical manner, and now in the world of SOX with enough documentation to ensure adequate oversight, they don’t care about the process. This is my experience in numerous projects, large and small. For the Intel Inside(R) Program system, we never received any “formal” requirements nor were we given time to gather the requirements. Instead the system “needed to be built in three months!” If you know much about co-op marketing, there are numerous areas that a system needs to address, in particular due to the large financial quantities it was going to pay (50% of an ad placement could be in the hundreds of thousands of dollars in certain publications). So, what did we do? I brought in modelers to train and guide the users (marketing, finance, and sales) on modeling the desired system. I brought in internal audit from the beginning to make sure that we built it based on their expectations. This was a difficult endeavor as internal audit was not used to being asked to act in a consulting role at the beginning of a project rather than being “fault finders” at the end, but it worked. We implemented an Agile framework, developing three releases in parallel (pipelined), each taking three months and a production release every month. Once we started delivering (nine months after starting, not the three months that was desired — that’s a story for another blog) and the machinery got moving, there was no need for documents, Gantt charts, or other PM devices beyond the ones we needed to manage the project. The customers were more than satisfied with the results. There are other examples in my experience that validate this approach. How about in yours? This entry was posted on Sunday, October 18th, 2009 at 21:36 and is filed under CBPM, Leadership. You can follow any responses to this entry through the RSS 2.0 feed. You can leave a response, or trackback from your own site.